Tesla CEO Elon Musk has announced that the company is laying off 7 percent of its full-time employees in an effort to cut costs and increase profits. He revealed that while Tesla will run a second consecutive quarterly profit, it will be less than what it earned last quarter. Over the past year or two, Tesla had massively increased its workforce to try to fulfill hundreds of thousands of orders. “We grew by 30 percent last year, which is more than we can support,” he said, adding that the company will only retain the most critical temps and contractors. Musk’s SpaceX also announced recently that it would lay off 10 percent of its workforce in order to fund other projects. After achieving success with both companies, he now seems determined to spend less. 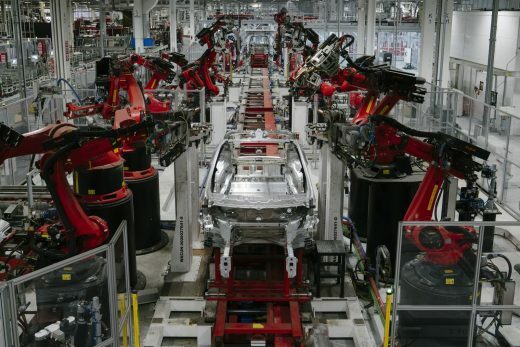 Last summer, Tesla announced it would let go up to nine percent of its workforce after Tesla 3 manufacturing started to get on track, following Musk’s self-described “production hell.” At that point, it had 46,000 employees, so further cutbacks seemed inevitable, considering Tesla’s sales are still dwarfed by other manufacturers.